I’m serious about my skin care routine, but I must admit I hadn’t always been this way. I can honestly say that I didn’t develop a true regimen until my early 30s. My mom always says, “If you take care of your body, it will take care of you.” So true, especially with skin. 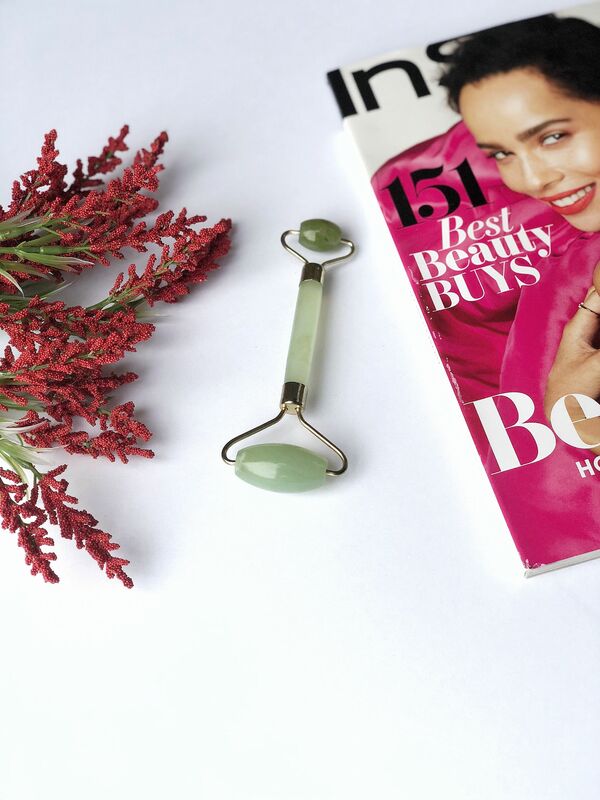 I recently acquired an amazing tool that has taken my daily skin care routines to another level – THE JADE FACIAL ROLLER. 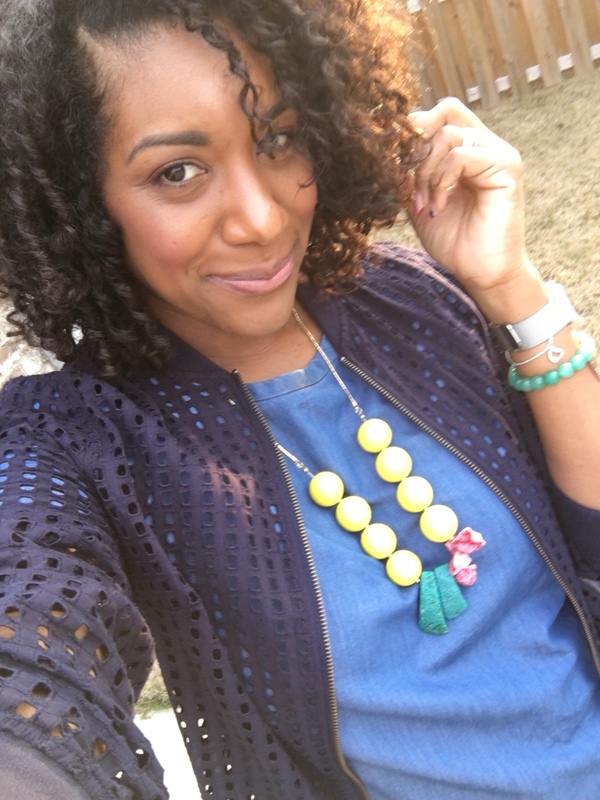 One of my favorite beauty bloggers, ThisThatBeauty, swears by hers and her skin is ahhhh-mazing so I knew I wanted to try it. If my skin can feel like I have a fresh mini facial everyday with anti-aging benefits, SIGN ME UP! And since I’ve been using it, my skin has felt so good. It provides an instant morning pick me up after a long night. I also use it to end my evening wash/make up removal routine with a relaxing facial massage. I’m telling you, it doesn’t get much better than this! reduces appearance of dark under eye circles. I could go on and on about how wonderful this little tool is, but I’d rather you grab one and experience all of its wonder for yourself. The gemstones (jade, rose quartz, quartz, etc.) are especially calming and cooling. Use them after serums and moisturizers and remember to always roll up and out. You can also put it in the freezer for a few minutes to amp up the cooling effect. Treat yo self! 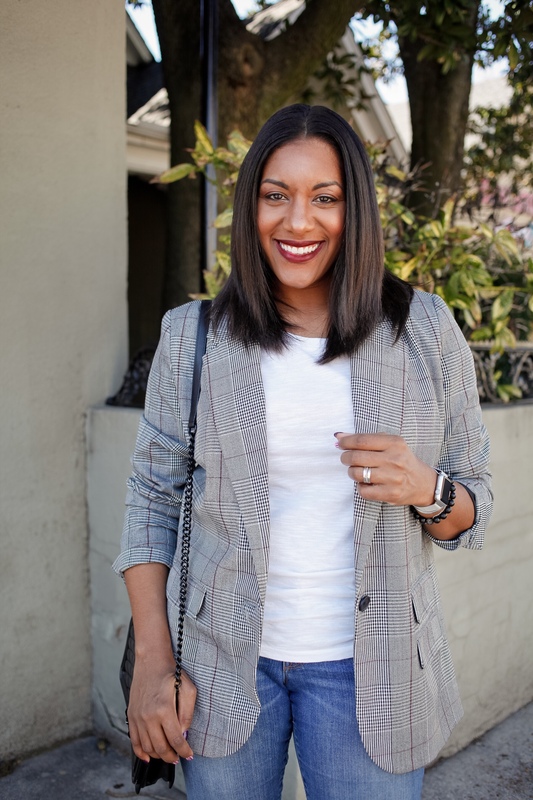 According to Q, a good skincare regimen is essential to making sure this ‘black don’t crack’. Adding this jade facial roller is going to add years of firmness and elasticity to my skin. You definitely need one in your life! Thank me later. Cheers to flawless skin and simple tools to make it happen! I have one that Jeannie Mai (The Real) recommended, but I will definitely invest in this one also. I’ve always heard NOTHING but good things about the Jade tone. Keep doing you girlfriend! Loving all the recommendations and motivation! You’ll love the Jade!! Thanks so much for reading! !